Gain Liquid Laundry Detergent in Original Scent. For more of the scent you love, try adding Gain Fireworks and Gain Fabric Softener to your wash. Liquid laundry detergent with brilliant cleaning performance that leaves behind a refreshing Gain Original scent. Smells great because it cleans great! Caution: Eye irritant. Harmful if swallowed. See back label. May irritate eyes. Do not get in eyes. Do not reuse this package for dispensing beverages or other liquids. Keep out of reach of children. First Aid Treatment: Contains biodegradable surfactants (anionic and nonionic) and enzymes. If swallowed, give a glassful of water or milk and call a Poison Control Center or doctor immediately. Do not induce vomiting. If in eyes, rinse well with water for 15 minutes. Keeps clothes clean and stain free! 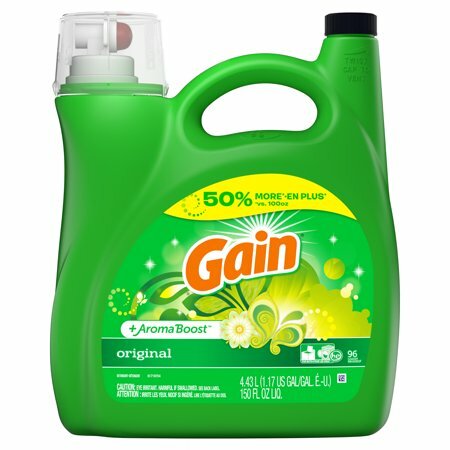 When I wash a load of clothes I use a scoop of Gain Ultra Powder Laundry Detergent, Original (206 oz., 180 loads) and a dash of this liquid plus a dash of the Gain Fireworks In-Wash Scent Booster Beads, Original (30.3 oz.). My 92+ Mom is on Hospice. Making sure her bedding, gowns, socks and blankets are clean and fresh is a necessity. These products are also wonderful in helping me keep our clothing fresh and clean also! Love this detergent. Very reasonable at Sam's and more quantity! I used a different liquid washing detergent before trying the Gain and I love the Gain. The cleaning is better and I love the length of time your clothes smell refreshed. I will purchase this product in the future. 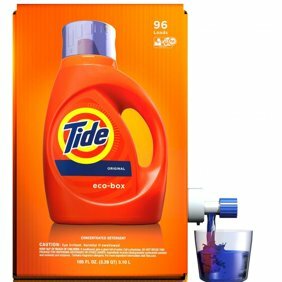 I, myself, am a Tide girl; specifically, clean breeze Tide. However, I was volunteering to do some laundry for a family who had recently experienced a fire in their home (donated clothes to help the kiddos). Mom mentioned she used Gain; so I thought it might be nice/comforting for the kids for their "new" (donated) clothes to smell like home. I actually really liked this! It's not "my" smell; but the detergent worked great and the smell is very good.